A whale was found dead this weekend at Anclote beach, in the Punta Mita area. Federal authorities have maintained silence on the case, however, the information came to light during a meeting of the Commission for Agricultural Development and Fisheries held this afternoon in Puerto Vallarta, where the councilor Saul Lopez, called for improving fishing practices. The mammal, said Saul Lopez, was found in front of the Marietas Islands and stressed that the case could have been because it would have been trapped between networks that illegally place poachers in that area, which are known to be 400 meters away from where it was found. Saul Lopez pointed out that it is necessary to be more energetic against those fishermen who use “chinchorros” in that area, where the presence of armed groups operating in the region has been reported. 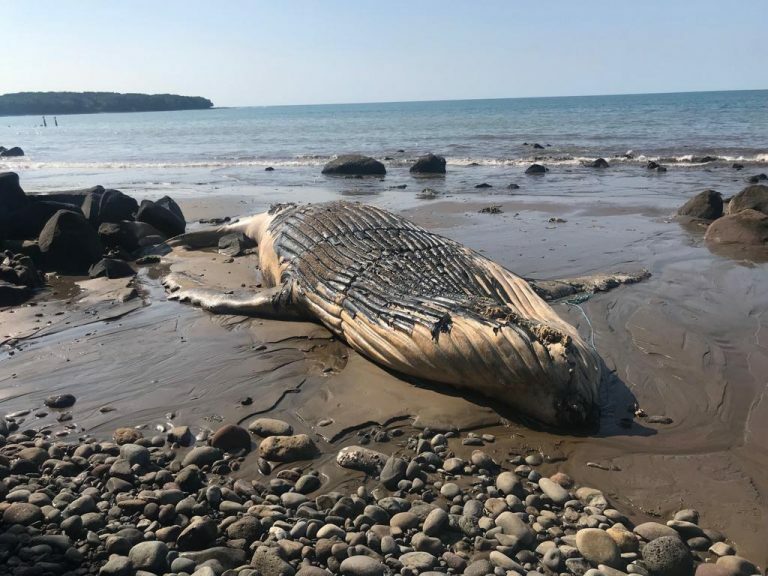 On January 2, a humpback whale was found on Miramar beach, in the municipality of Tecuala.